A list of Chinese Cartoons for kids that are fun and educational. 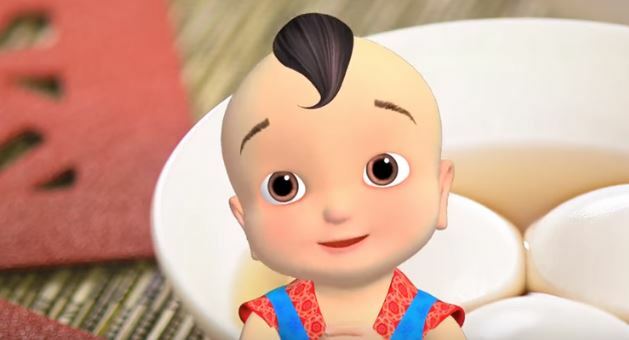 These animated shows in Chinese not only give kids exposure to the Chinese language, but also teach moral lessons. Let’s face it, when it comes to learning a new language or trying to retain your mother tongue, watching T.V. can actually be helpful. And while TV alone is not going to teach kids Chinese, it is a great additional resource to help give that extra exposure to the language. I have fond memories of watching Chinese soaps or the Hong Kong news with my grandmother. It was good exposure to Cantonese and helped me put the language into context. 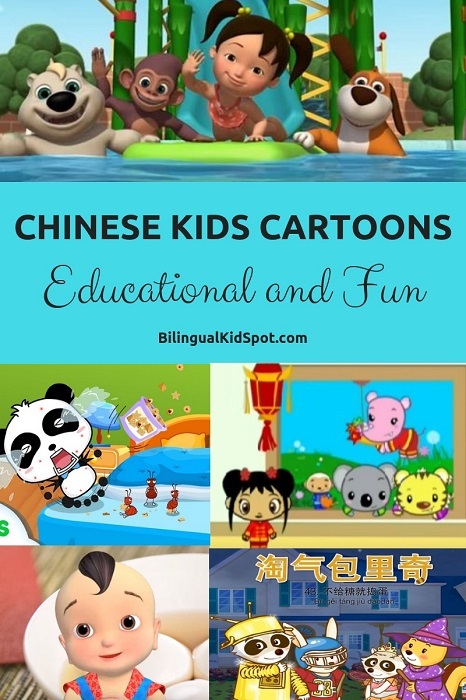 Now that I’m a mom trying to ensure my child will grow up speaking Chinese, I’m definitely using her favourite television characters and Chinese cartoons as a tool to help her learn Mandarin Chinese. Not only is it easy on the parent (because we get a break when they’re watching T.V. ), but it’s a different way for them to absorb the language. Note: My criteria for shows isn’t simply the language, but the moral lessons contained in the show. The following list of Chinese cartoons is best suited for children ages 2-5 years. There aren’t a lot of children’s cartoons in English that are dedicated to introducing Chinese to young viewers. 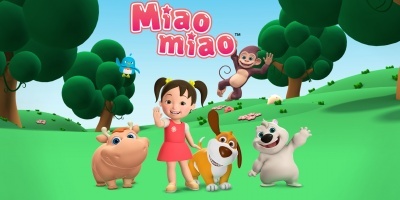 Think of ‘Miaomiao’ as the Chinese Dora the Explorer. 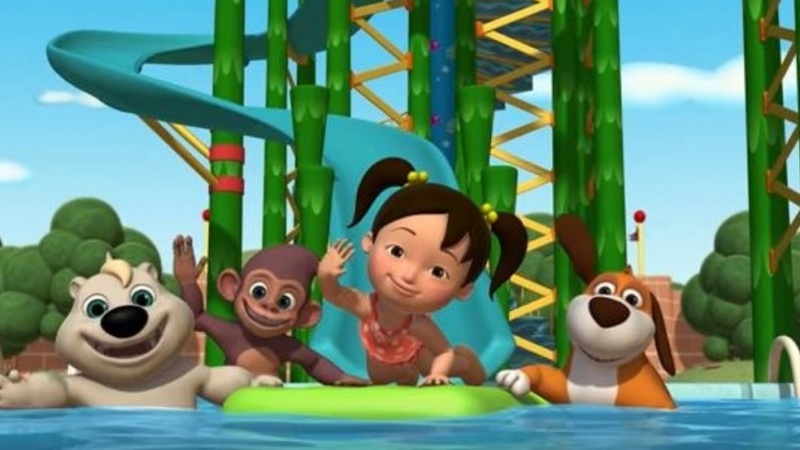 In each episode, little Chinese-Canadian Miaomiao goes on role playing adventures with her animals friends and introduces a new word of Mandarin Chinese to the audience. 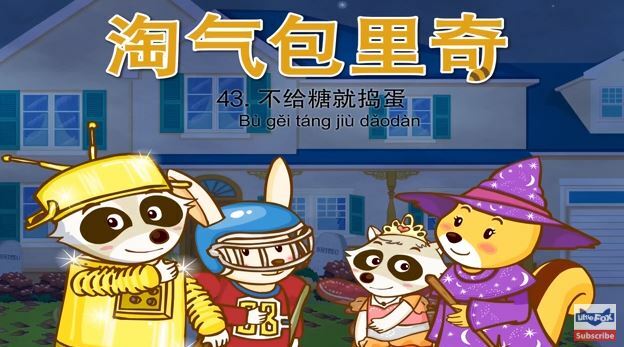 This kids cartoon great for parents who don’t speak Chinese and want to learn together with the kids. There are seven minute episodes that feel more like a traditional cartoon and two minute videos that focus on verbal repetition for language retention. ‘Miaomiao’ was created with the help of early Mandarin Chinese learning experts and also teaches children social skills like sharing, teamwork, and cooperation. For a more advanced Chinese learner, Miaomiao’s Chinese for Kids App has all the two minute episodes fully dubbed in Chinese. Watch ‘Miaomiao’ on Amazon Prime Video or their Youtube Channel here. You can also read a full review of the TV show and app here. Before Miaomiao, Nickelodeon made ‘Ni-Hao, Kai Lan’, based on the childhood memories of the show’s creator growing up in a Chinese-American family. Kai Lan, similar to Miaomiao also introduces viewers to Mandarin Chinese, along with some Chinese culture and values and what it’s like to live in an intergenerational family. ‘Ni-Hao, Kai Lan’ is also supposed to teach children how to identify and express their emotions, but one critique from parents has been children end up imitating Kai Lan’s behaviour which isn’t always stellar. 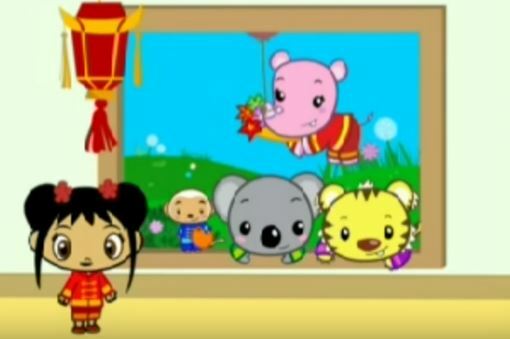 Some episodes of Ni Hao Kai Lan are available on Youtube here or on Nick Jnr. Produced in Taiwan, ‘Heavenkid’ is an award winning animation that is completely in Mandarin Chinese. This series is better for slightly older children (3 and up) as there are some scary scenes of monsters or demons. What I love about ‘Heavenkid’ is that it shows kids the true cultural essence of Chinese culture. A lot of Chinese cartoons produced from Mainland China lack this aspect since the traditional culture was destroyed during the cultural revolution. Heavenkid is based on a Chinese book Di-Zi-Gui that draws heavily from the teachings of Confucius and the wisdom of ancient China. Confucius believed that moral principles, virtues, and discipline should be some of the first lessons taught to a child. The series uses 3D animation and lively entertainment to provide a moral educational tool that imparts these ideas to children in a very subtle manner. I learned about ‘Heavenkid’ through the Chinese immersion daycare I send my daughter to. You can find some episodes of ‘Heavenkid’ on Youtube here or buy the DVD set here. So this one isn’t a cartoon, but live-action. 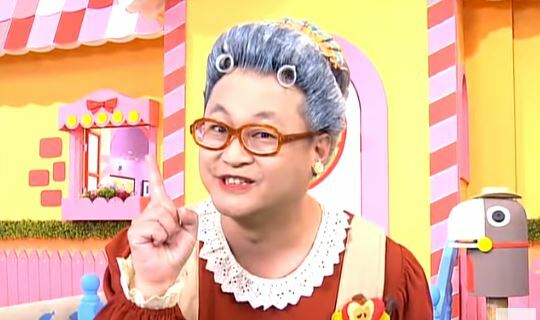 I thought I would included ‘Fruity Pie 水果冰淇淋’ in here to mix things up as the show is very appropriate for young children. Sometimes it’s nice for kids to see real actors and people on screen. This Chinese show is produced by the Taiwan Public Television service and episodes can be seen on Youtube here. The next four Chinese cartoons for kids on this list are simply our favourite English cartoons dubbed in Chinese. Showing kids content they are already familiar with in a different language will lower their resistance to the language because they already have context of what’s happening. My daughter is a big ‘Peppa Pig’ fan, so to show that her favourite characters also speak Mandarin is a great way to reinforce that learning Chinese is fun and cool! 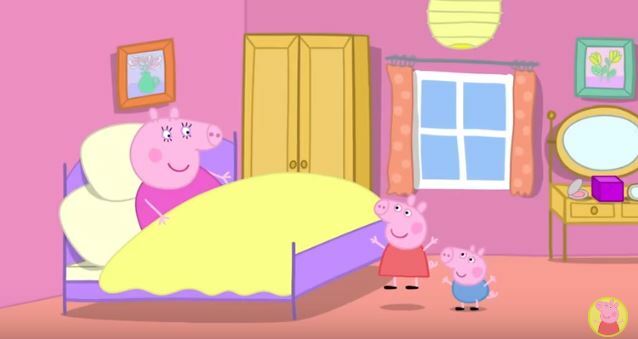 We also like Peppa because there is never any violence or scary monsters that will cause your child to start screaming and covering her eyes. ‘PJ Masks’ are a group of young superheroes who get superpowers when they change into their pajamas. To go undetected, the ‘PJ Masks’ always need to wait until nightfall after everyone goes asleep to go on their special missions. The three main characters, Catboy, Owlette, and Gekko work together as a team and learn valuable lessons together to stop their villains. 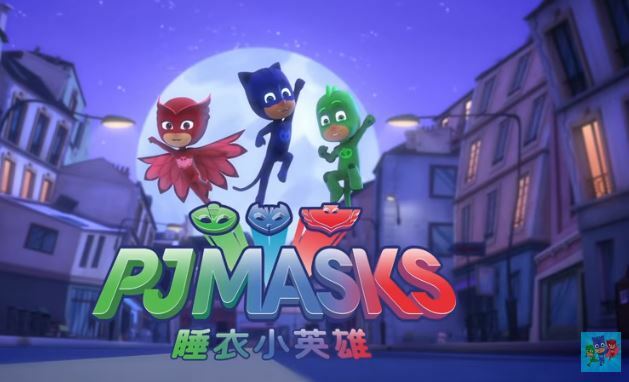 You can find a large collection of ‘PJ Mask’ episodes in Chinese on Youtube here or by searching PJ Masks in Chinese. No matter the language, the love for superhero puppies who go and save the day is a sentiment felt by all children. Popular in hundreds of countries, Paw Patrol is a favourite by many children around the world. 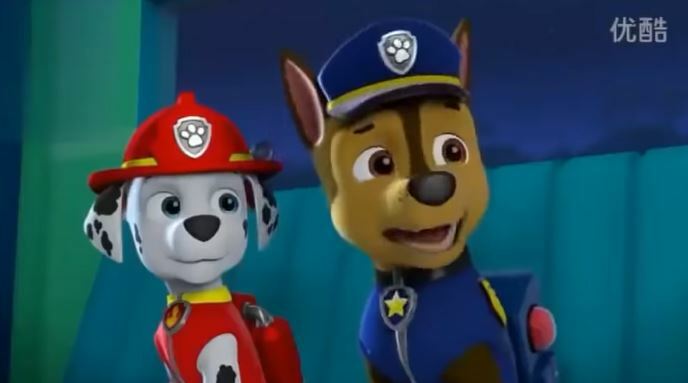 You can find Paw Patrol in Chinese on Youtube here or by searching Paw Patrol in Chinese. This funny Russian animation has one of the most viewed YouTube videos and millions of views in every language. Loosely based on the oral children’s folk story Masha and The Bear, the show focuses on the adventures of little Masha and a mature bear who is always keeping her from disaster. 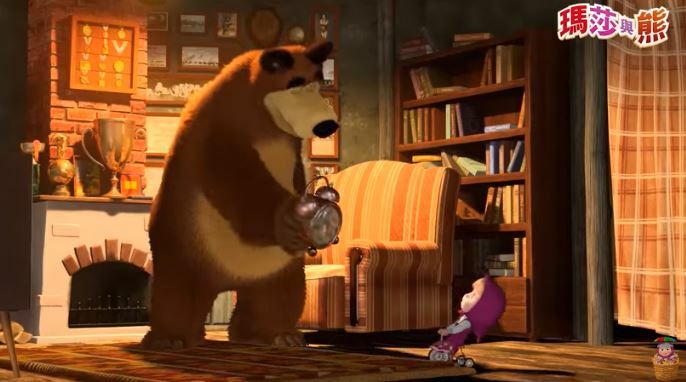 The relationship between Masha and the Bear is relatable to any parent with young, curious children at home. ‘Masha and The Bear’ has their own YouTube Channel in Mandarin Chinese you can find here. The last two cartoons on my list are made for YouTube and not for television, the animation and story quality may not be a good as the shows mentioned previously, but they have large amounts of subscribers and the videos are still great for exposing kids to Chinese. BabyBus is a produced in China in numerous different languages. Their goal is to make learning a fun experience for kids aged 2 – 5 by creating classic nursery rhymes, kids songs and stories with 2D & 3D animations. I find some of the characters and stories a little strange, but the songs with the little pandas are really cute. You can find BabyBus in Chinese on their YouTube Channel here. They upload new videos frequently on their channel and kids learn Mandarin through animated stories and songs. You can find Little Fox Chinese on their Youtube Channel here. I hope you find this list of Chinese cartoons for kids useful and that your kids enjoy them! Do you have other Chinese children’s shows or Chinese cartoons for kids that are not on this list? We’d love to hear which animated shows your kids watch in Chinese. Let us know!Want to teach your child Chinese? 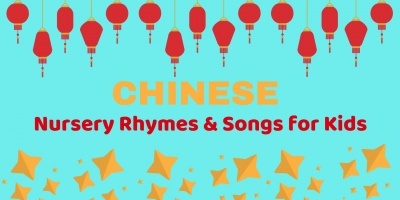 Take a look at our Learn Chinese for Kids series! Want to teach your child Chinese? 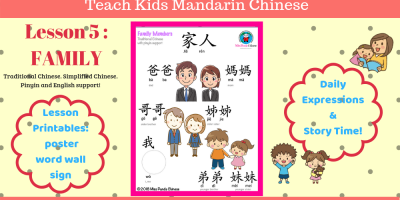 Take a look at our Learn Chinese for Kids series where you can find FREE lessons with printables and lots of resources for kids to learn Chinese Mandarin. Author: Judith Cheung is a mom of one, (with one on the way) in a biracial marriage. Her family is originally from Hong Kong and she grew up barely speaking Chinese until she hit university where she picked up her mother-language Cantonese and then learn Mandarin. She hopes her children, although only half Chinese will learn the language and the culture. Judith also works with Lofty Sky Entertainment, the producing company of ‘Miaomiao’.